All orders will be shipped by Royal Mail first class within 24 hours (Monday to Friday) UK orders should take approximately 1-3 days to arrive. European and worldwide orders can take from 3-14 days depending on country. These are estimated times and it can sometimes take longer depending on factors beyond our control such as severe weather conditions, local delivery problems or delays at customs. 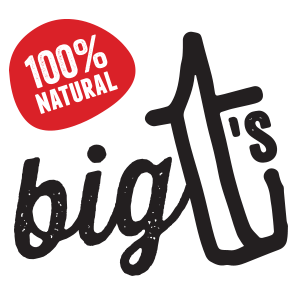 If you are not satisfied with any of our products for whatever reason please contact us within 48 hours at bigtsjerky@gmail.com and we will endeavour to sort out your problem as soon as possible. If your eligible for BFBO order please use the discount code BFBO on your order and use the following format in the Name & Address fields. ONLY the BFPO numbers listed above are entitled to the Enduring Free Mail Service. The BFPO (British Forces Post Office) offers a free postage service for all men and women serving abroad. Please note that each order must not exceed 2kg. If we receive an order greater than 2kg we will split into 2 multiple packs.